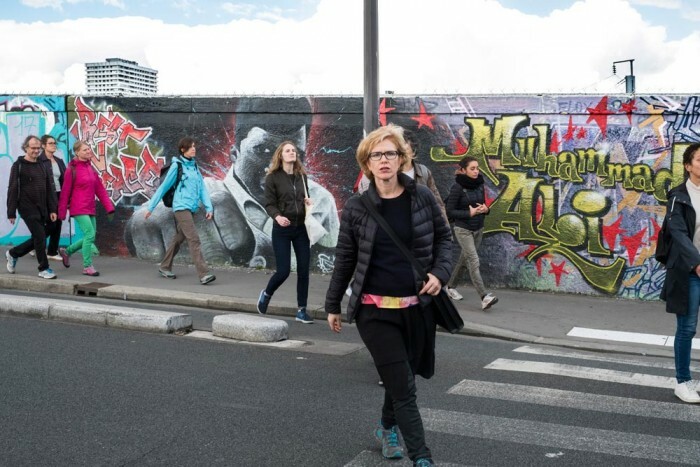 Une marche silencieuse de 25 km pour un public participatif, ponctuée par 4 danses Modulables, afin de relier entre eux les 4 lieux du Paris Réseau Danse. Joanne Leighton entreprendra personnellement cette marche, tout autre personne peut participer ou se joindre (pour une partie ou l’entièreté de cette route). 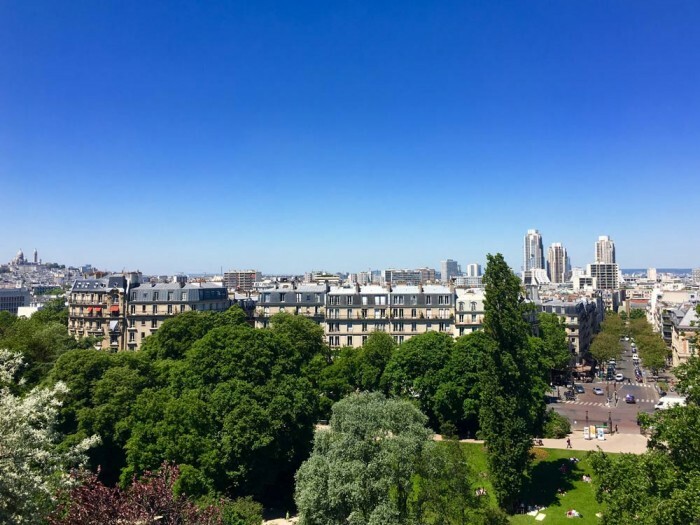 Les lieux que longe la marche sont des monuments de patrimoine pour cette poursuite. Pour Joanne Leighton, marcher est une façon de fabriquer le monde, autant que de se situer dedans. Le long de cette marche, l’enjeu est de transporter des sachets de sel marin. - Apportez votre pique-nique, rafraichissements disponibles en route. « Ce qui m’intéresse par WALK c’est de créer une forme éphémère et fragile, qui a une durée relativement courte, fluctuante, de passage, comme la vie, comme le spectacle vivant aujourd’hui. Les photos et éventuelles vidéos sont les seuls témoignages de cette performance et installation. Les simples gestes comme marcher et laisser des marques, en lien avec le lieu, le territoire, le temps, la distance, l’échelle de mesure pour œuvrer à taille humaine. WALK #2 vise à amener des groupes de personnes à participer collectivement à l'occupation et la réappropriation de paysages à travers des marches sur une durée prolongée. L’insistance sur cette action différencie les participants des positions touristes ou spectateurs. La performance WALK puise dans le Land Art mais aussi dans les songlines, chemins qui ont un rôle central dans la culture aborigène australienne, ainsi que la prochaine création de Joanne Leighton. 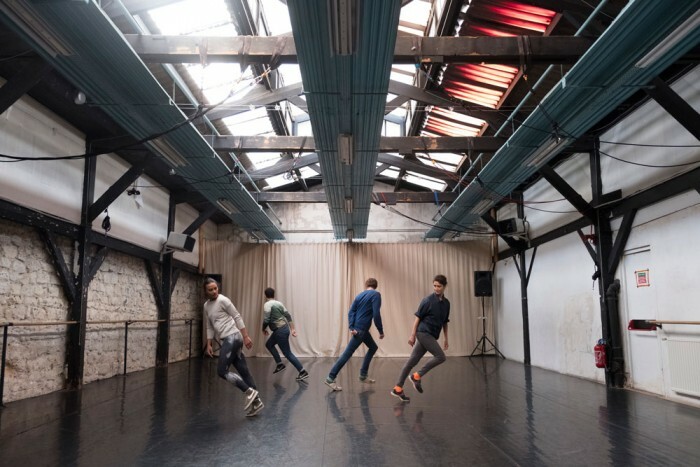 WALK is a 25 km performance for a participative audience, punctuated by 4 Modulable dances, in order to connect the 4 venues making up the partnership of Paris Réseau Danse. 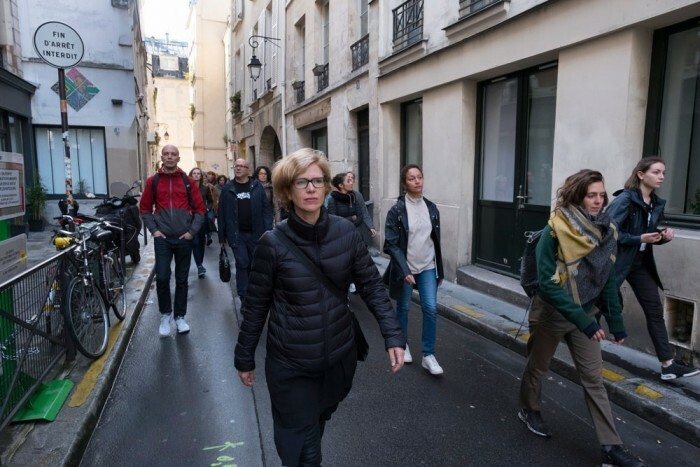 The buildings along the walk are monuments of patrimoine for this pursuit, and for Joanne Leighton, walking is a way of creating the world, as much as of locating oneself in it. Along the way, the challenge is to transport sachets of salt. - Bring your picnic, refreshments available en route. « What interests me with WALK is to create an ephemeral and fragile form, which has a relatively short existence, fluctuating, passing, like life itself. The photos and videos are the only testimonials of this performance and installation. Simple gestures like walking and leaving marks in connection with place, territory, time, distance, scale, contribute to work of human scale. 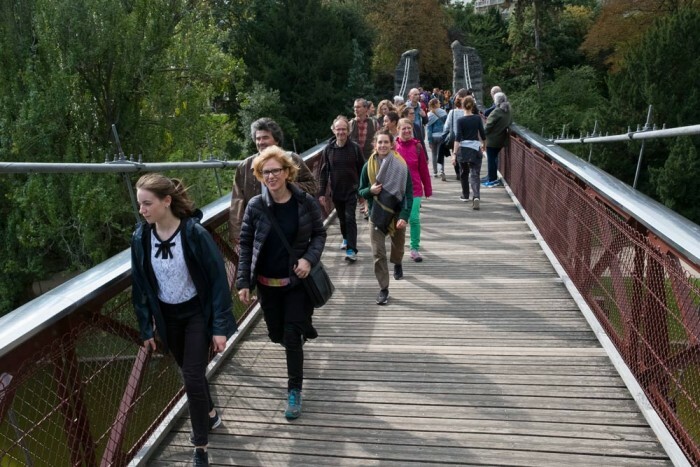 WALK aims to bring groups of people together to participate collectively in the occupation and reappropriation of landscapes through marches over an extended period of time. The insistence on this action differentiates the participants from tourists or spectators. The 25 km WALK performance draws not only from the Land Art but also from songlines, which have a central role in Australian aboriginal culture, as well as Joanne Leighton's next creation. 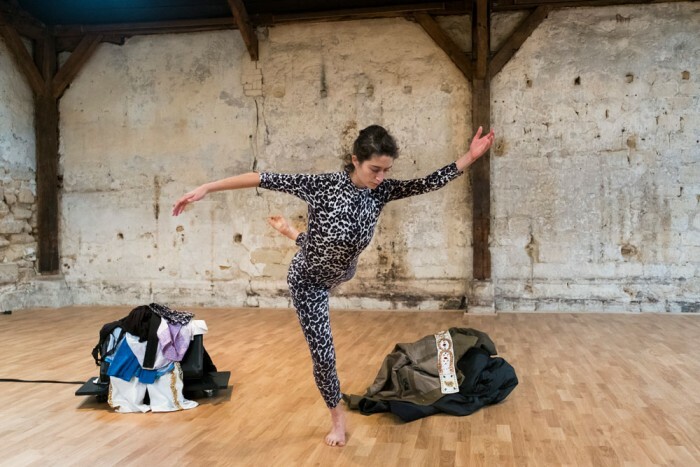 WALK Simple gestures, salt, archetypal geometric shapes such as lines, spirals and circles, notions of duration and repetition, are all motifs of Joanne Leighton's choreographic work. In the same way, the salt is at the heart of pieces such as 9000 Pas, Salt Circle and Songlines. These works are formed by the environment and are part of its landscape. The materials are assembled and transformed by the same modifying factors as the Land Art: time and place, space available and light all combine with each representation. 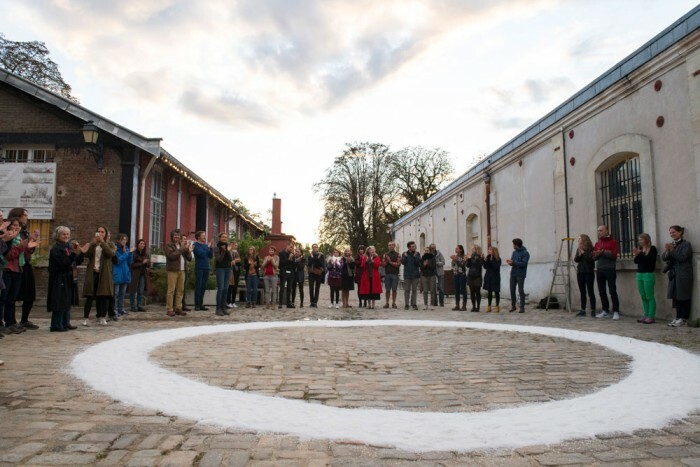 SALT CIRCLE is a ritual, both a performance and an installation, in which the choreographer Joanne Leighton proposes to a participative public to occupy the landscape by creating and walking on a circular salt path. 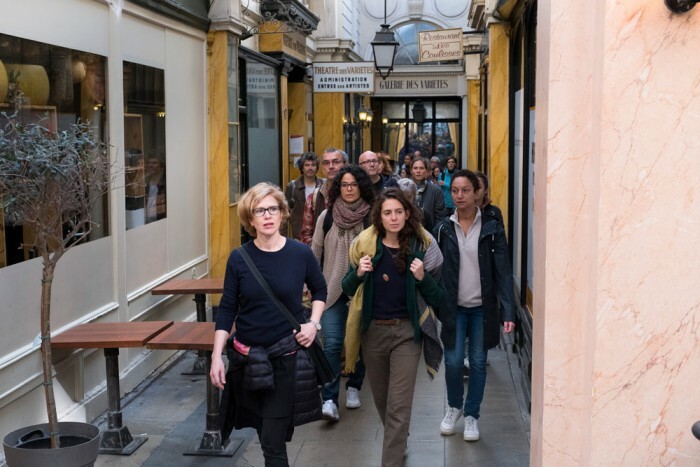 The walk will create a physical language as well as a real presence; these actions inscribe the circle in space, like a drawing, by delivering the salt back to the ground. The circle of salt is like a piece of "choreographic land art", crossed by the steps and presence of the participants. In making this circle, we create and leave a story related to the place. The installation, along with the resulting images (photos, videos...), are simultaneously act and memory, witness of this performance. Joanne Leighton is interested in creating new paths, installing a plastic and theatrical language starting from the walk, the circle, the landscape. Salt has been a foundation of civilization for thousands of years, and has also been an element of several works as in 9000 Pas, The Songline, Salt Walk ... The salt used for SALT CIRCLE comes from the last performance of 9000 Pas. The salt is the only lasting trace and physical testimony of this piece, like a cartography of the site, the footprints of the dancers and the performance itself. THE MODULABLES is an evolutive work, made up of a series of solos, duos and trios ranging in duration from 4 to 14 minutes. 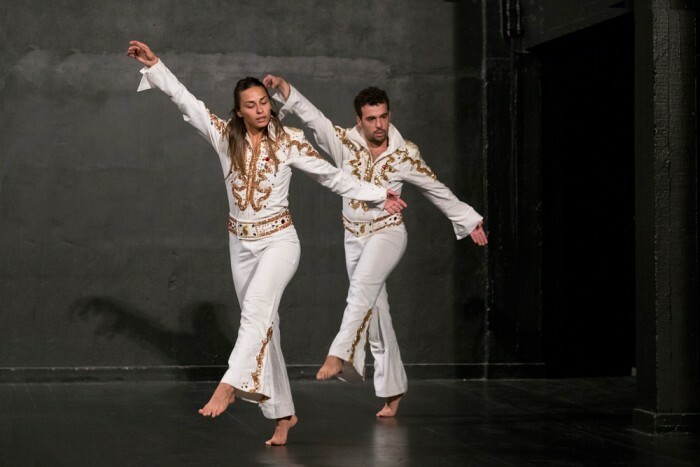 Each of these works has its own unique theme and each has come out of interactions between the dancers and other artists involved in the project making up an ongoing part of the company’s research.